Following the revaluation of some 500,000 properties in Cyprus, the revised valuation of any particular property can be viewed on-line at the Department of Lands and Surveys website. Can't get past the Greek/English choice page - think the world and his wife may be online checking! The website has been very busy. It took me a couple of hours this morning to get the latest value of my property. It may be best to try late evening or early morning when the site isn't so busy. I presume this only works if you have your title deeds? Not necessarily - check out the article. "A Department of Lands and Survey online tool to help property owners determine the value of their land or buildings for Immovable Property Tax (IMP) purposes was functioning again yesterday afternoon after becoming unavailable the previous day. Before crashing, the site had received visits from some 6,000 users since its data was uploaded on Friday, including three from the USA and six from Turkey." It's about time they replaced their BBC Micro computer with something a tad more powerful. 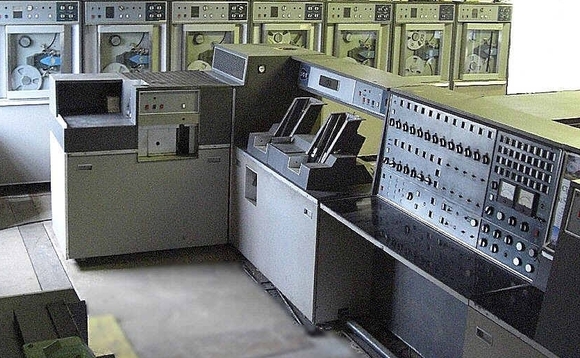 Hey, there's nothing wrong with the BBC Microcomputer. I grew up with them and used to manufacture them when I was in the UK. Best Universal multifunctional computer ever. Hey, there's nothing wrong with the BBC Microcomputer. Unfortunately I don't believe the early models could hold the terabytes of data storage needed by the Land Registry. Where do you find the details to identify your property if you do not have your deeds? Your contract of sale and/or the attached plans - or your developer will know. Managed to search the Dept of Land and Surveys website. I was looking at 2 properties which were new builds purchased around 2006. Had the relevant information from the contracts but both enquiries ended with no records found. Am wondering if they are still doing valuations or are still data entering valuations. I know the references were correct for at least one of the properties as a Land Registry search had been done against that reference successfully a couple of years back. Whe searching for our valuation on line it came up with our estate & value of over 3m euros, we have 18 villas with different types. Does anyone know how we work out ours? Is it just divide by 18? I wouldn't waste your time. It's a very interesting program but of no use for calculating IPT. This tool only gives you the 2013 valuation of your property which, unsurprisingly, appears to be a work of fiction. IPT is calculated on the 1980 value of the property. Can anyone tell me how to get this please? I also got 'no records found'. Had the sheet number from Contract but the next number was not listed in the options. The numerical number before it was there but not mine. Tried all of them, but no luck.